Alexander Girard produced over three hundred textile designs during his almost thirty-year tenure at Herman Miller, an important American furniture company and promoter of modern design. That Girard was trained as an architect should come as no surprise – like many architects of his generation, he had experienced firsthand the challenge of finding textiles appropriate for a modern interior. Designs by Alexander Girard will be on display in Energizing the Everyday: Gifts from the George R. Kravis II Collection, on view April 27, 2016 through March 12, 2017. From radios to furniture, the exhibition will display some of the most influential objects in the history of modernism, alongside contextual works drawn from the museum’s collection. 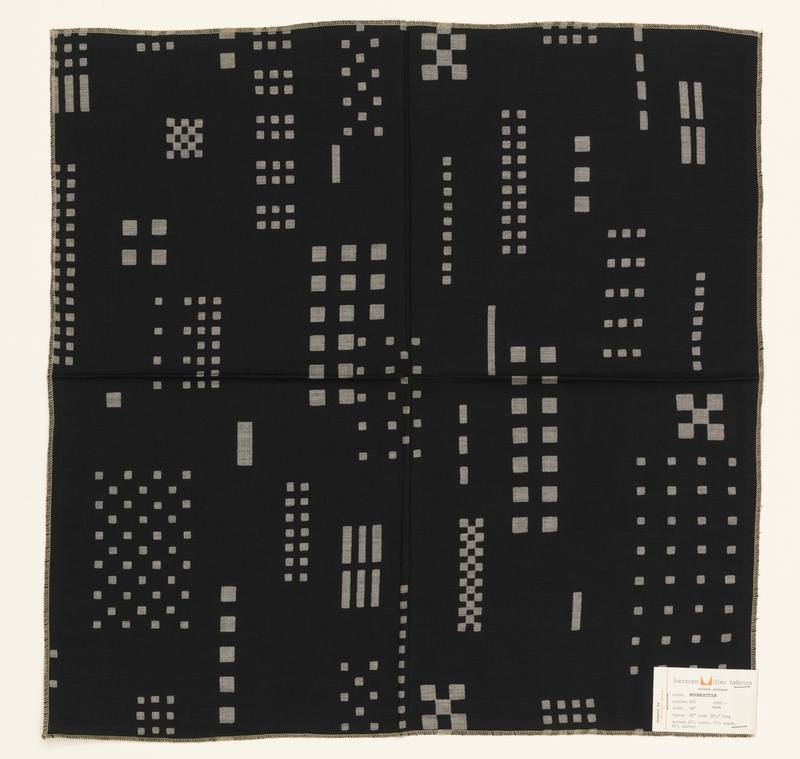 Sample: "Manhattan," USA, 1958, designed by Alexander Hayden Girard (American, 1907–1993), screen printed with discharge on 40% cotton, 15% rayon, 45% mohair, Gift of Alexander H. Girard, 1969-165-165.